Maruthi Talkies, which always comes up with good quality films in limited budget, is coming up with London Babulu. It is the Telugu remake of Tamil super hit film Aandavan Kattalai starred by Vijay Sethupathi and Ritika Singh. Prominent director and producer Maruthi is producing this film with AVS Studios as presenter. Chinni Krishna is wielding the megaphone. Swathi Reddy is playing the female lead. Today, the first look poster of the film was released. The makers will reveal the trailer soon. The film unit is planning to bring the film to audience by the end of June. 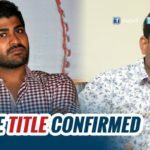 Briefing about the film’s details, producer Maruthi said, The film London Babulu is the Telugu remake of Tamil super hit film Aandavan Kattalai starred by Vijay Sethupathi and Ritika Singh. It’s a big hit film in Tamil. Chinni Krishna is wielding the megaphone. Chinni Krishna’s comedy timing has become plus to the film. Swathi Reddy is playing the female lead. Swathi has given wonderful performance as a social responsible girl working as a television anchor. 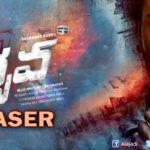 Rakshith is being introduced as hero through this film. Despite being new to acting, he has perfectly transformed into his role as a senior actor. Senior artists such as Ali, Murali Sharam, Jeeva, Ajay Ghosh and Raja Ravindra played major roles. How each and every character in the film turns the story and how hero gets the visa to leave London? – Makes the story of the film. Each and every character in the film has equal importance. Director Chinni Krishna has carved out the film wonderfully. Present happening comedians Dhanraj, Satya and Sai’s comedy will leave audience in splits. Shyam K Naidu’s camera work and Uddhav’s editing will stand out as bit assets to the film. Popular Tollywood heroine and playback singer Swathi Reddy will be seen. Swathi kickstarted her career with award winning Tamil film Subramaniapuram (2008). She bagged Filmfare Award and Nandi Award for Best Actress for Ashta Chamma.